Does your life ever grow stale? Does it ever seem that each and every day is just a routine that you go through – just going through the motions? I have to admit, I got home last night after a very long day and I was exhausted. As I made my way to my bedroom, the thought crossed my mind – “In a few short hours I will get up and do all this again.” Truth be told, I felt a little defeated in that moment. Now don’t get me wrong, I love my life. I have been blessed with the most wonderful, understanding and loving family a person could ever want. I have a calling that I cannot imagine doing anything else. But every once in a while, when I get a little more tired than usual, it gets to be a bit overwhelming. When we begin to feel like things are a little stale, maybe we need to review our focus. If we are focused on the work, then it will grow to the point that it overwhelms. But, when we surrender ourselves fully into God’s hands and put God in the driver’s seat we shift our focus to God’s desire and heart. All else fades in importance and we sit back with expectation. We are quickly approaching our big, epic event! We need as much help as we can get to promote this gathering within our community. May 9 at the Littlefield High School Gym. We will open the doors at 5:45 and We As One will take the stage at 6. At 6:45 Soldiers of God will rock the house and then at 7:30 Bob will go to work. There will only be seating for the first 1200 people so you will want to get there on time and get a seat! 15 Days and counting down . . .
Have you ever noticed how suffocating silence can be? Silence can get pretty loud. If you are like me, you get in the car and turn on the stereo. You get to your office and turn on the iTunes or Pandora. If you are exercising, you are very likely to have wires connecting your ears to your phone or iPod. We don’t do very well with silence. It scares us. Maybe because in silence we are forced to be alone with ourselves – alone with our thoughts. We have grown so accustomed to noise that we don’t know how to act in silence. We don’t know what to think. We struggle with how to feel. But I have found that when I am worn out or stressed out, silence can be very important. We get so busy with our routine that it can become more about going through the motions. Our service to God and others becomes more of an obligation and less of a calling. “My whole life becomes a prayer.” I love that statement. I am not sure I can say that about my life very often. But isn’t that how it should be? I believe when we set aside the distractions and keep our focus on God and God’s holiness, then our lives become a prayer and everything we do becomes worship. Slow down and worship with passion today! Yesterday, I alluded to a big announcement coming today. Well . . . its epic, at least for our little community. But before I jump right into that, let me give you a little history that has brought us to this point. In 15 days I will have been the pastor of 1st B in Littlefield for 2 years. It doesn’t seem possible that it has been that long. At any rate, since coming to Littlefield, I have tried to become connected to the community and I feel that I have a fairly good understanding of the city. But from day one I have sensed a desperation and an attitude of defeat. It’s almost like, in many ways, our people have given in to the fact that the world is just a bad place and there is not much we can do about it. That has been a burden on my heart from day one. In fact, that is one of the reasons I have been preaching to our 1st B family that we have got to BE the church in our town. Our community needs the church to truly BE the church. To add to this cloud, we have experienced some tragic losses this year, two of which have been teenagers in our school system. So a couple of weeks ago, our staff got together and began to pray and dream. We thought about different things we could do to reach into our community. And we decided on an event. But not just any event. We could bring in some local band and try and find a speaker that could come and do some kind of a revival. And that would be all well and good. But we wanted something different – something our community has not seen before. So here it is . . . drum roll please! 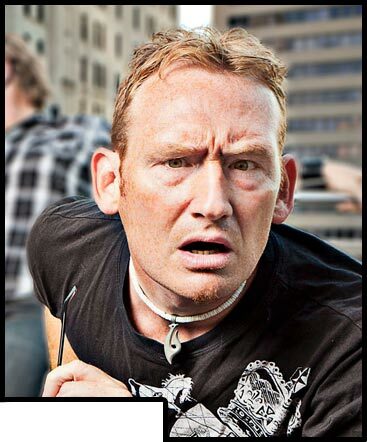 On May 9 (yes, here in about 3 weeks – that is why we need your help so desperately), we are bringing in one of the premier Christian comics in America – Bob Smiley – and its free to the public! We are debating between 2 different venues, but we will open the doors at 5:45, serve hot dogs and nachos, and then we are working with a Christian band that will take the stage at 6. (More details on that as soon as we have them). Then Soldiers of God, a very energetic Christian band will take the stage at 6:45. Bob will take the stage at 7:30. I am excited about how God has put this together! I am looking forward to what God is going to do. And I need your help. Help us pack this event out. I need you to talk this up and share it on your Facebook. Tweet it. Text it. Email it. Whatever you can do to help us get our community to this event. And oh, did I mention its free?! I am blessed to have a lot of followers to this site. Can I count on you to help? I don’t normally use this platform in this way – at least not to this level. But this is big. For our area, this is epic! In the midst of a struggling economy and a community that has been rocked by tragedy and depression and decline – God is still the light and God is still at work. In fact, I believe that God does his best work when we get to the point we realize we can’t do this on our own. Our community is there and they just don’t realize it. So tomorrow there will be a big announcement here and I am going to need all my visitors to this site and all my regular readers to help spread the word. So make sure to check back tomorrow and help me get the word out! God is going to do some amazing things and you can be a part of it! Today – – pray. Pray for our community. I don’t know where you live but pray for your community as well. Pray that God will begin a renewal and a humble, authentic turning of our communities to The Way. 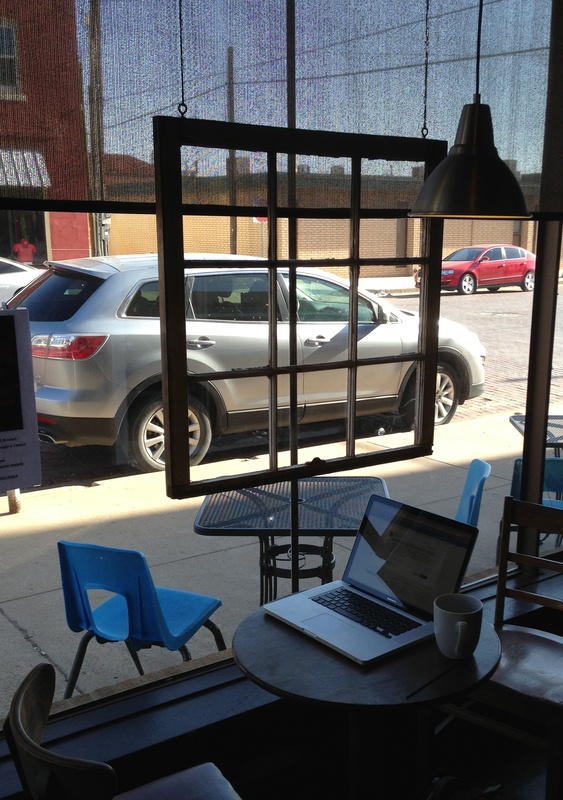 Today, I have a meeting in Plainview, Texas, and so I made the trek a little early so that I could stop in at a local coffee shop and get some work done. As I sit here taking in the sights and meditating on all of God’s glory, I am sitting next to the front window. That is nothing special except for the fact that, for ambience, the establishment has hung a window frame over the top of the store front window. As I sit and gaze through an empty window frame and on through the plate glass, I am reminded that much of life is about perspective. Often what appears to be real is not real at all. Often what we see is tempered by our pre-conceived ideas. As you look at your world today, try looking at it with a fresh set of eyes or from a new perspective. I think what you will see is that God is at work all around you and you just had not noticed it before.